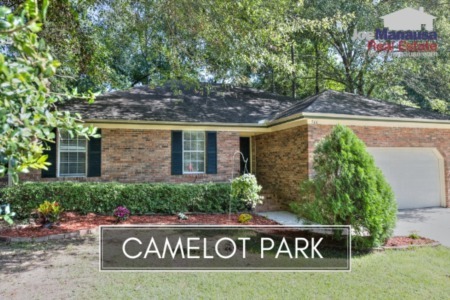 Camelot Park is a highly desired neighborhood located in the heart of downtown Tallahassee between E. Park Avenue and Apalachee Parkway. Featuring high-demand three and four bedroom homes on quarter acre (plus) sized lots, buyers can absolutely steal homes right now that will appreciate faster than most other homes in Tallahassee over the next several years. It is important to note that the narrative contained below is for sales through December for all previous years, but through first two weeks of October in 2018. The graphs and the closed sales table will be continuously updated into the future (meaning bookmark this page if you always want to know the current status of homes in Camelot Park). The average price of a home sold in Camelot Park has surged to $194K through the writing of this report. The pace of home sales in Camelot Park has been very good, and the remainder of this year should see all listed properties sell. There are far more buyers than sellers for this great location, thus well-marketed homes should sell right away at or above asking price. 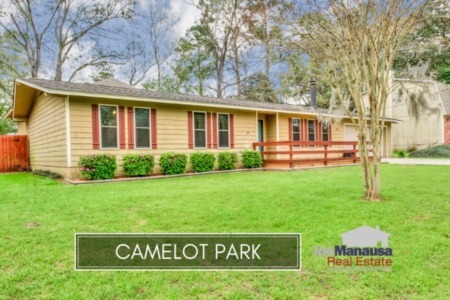 Currently, there are 7 homes for sale in Camelot Park, and three are already under contract (certainly a sign that buyers are snatching up these homes). Average home values in Camelot Park are up 20% thus far in 2018, though they have dipped slightly since our previous report. We still expect values to drop further as the normal mix of homes resumes (numerous recently renovated homes sold earlier in the year). Even though we'll see average values decline, buyers should know that this great location can support the higher valued homes. The 15 homes that have sold thus far in 2018 went for an average of $121 per square foot. The average size of a home sold in Camelot Park typically falls in a range of 1,400 square feet to 1,650 square feet, and this year is no different. The fifteen Camelot Park home sales in 2018 have averaged 1,613 square feet. The following shows a list of more than 620 home sales in Camelot Park going back to 1991. 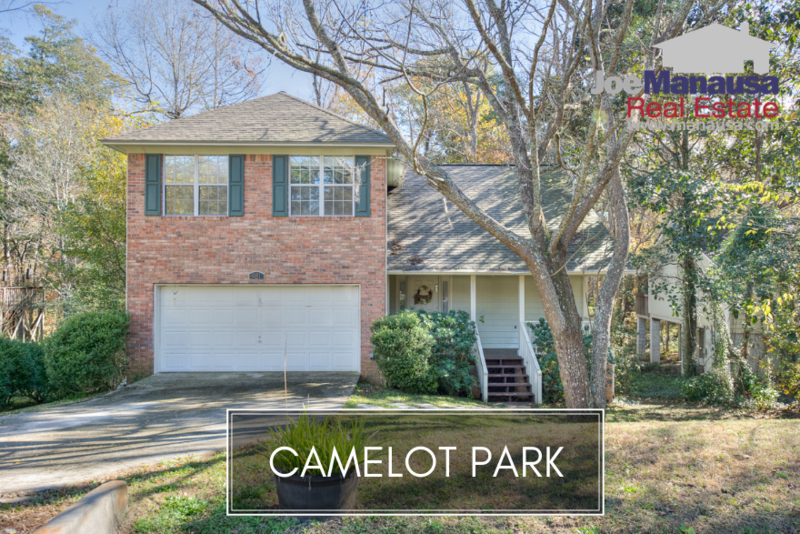 This concludes our October 2018 update on home sales in Camelot Park, please give us a call at (850) 366-8917 or drop us a note if you have questions about this popular neighborhood downtown Tallahassee. Are you looking for a Realtor who ranks #1 for taking care of his customers? You can read hundreds of real customer reviews reported on Google, Facebook and Zillow right here: http://www.manausa.com/testimonials.